Posted by Big T : Hello guys! Here is an old cheepo I picked up last year for not much , made stag for it and shot it a few times. 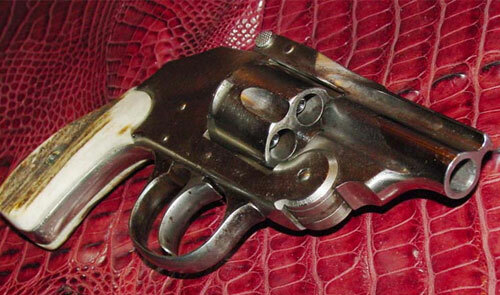 I saw one out at the cowboy club a gunsmith friend of mine fixed it up like this one here. It had a 4 inch barrel on it but the end of the barrel had a burr in it. More here…. Next articleIs It Sunday Already? Heey, i like this pocket top break!!! partners, this site is very good!!! I bleeb that shooter be loaded! Watch out!